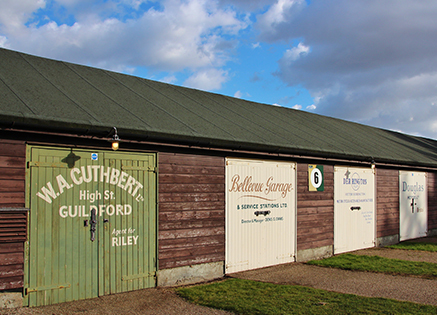 The cluster of sheds around the Paddock was a busy focal point for all those who helped to make motor racing possible. It accommodated a community of drivers, engineers, tuners, mechanics and other racing specialists. There was always work going on here, even on non-race days, and anyone not on official business was strictly forbidden access. 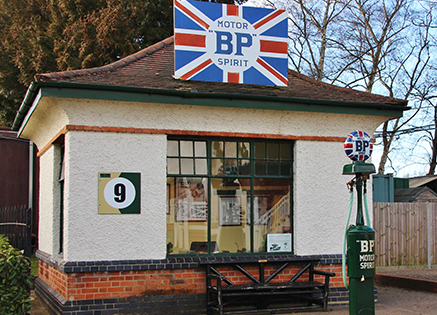 Many of the surviving original buildings have been restored and used to tell the story of Brooklands’ racing and record breaking history. 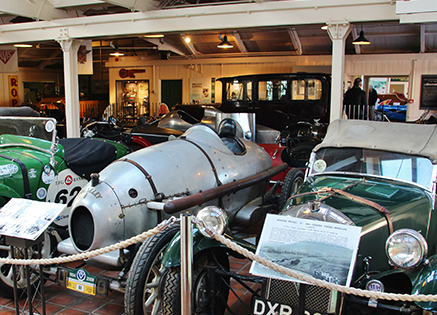 The building is now internally linked to the Malcolm Campbell Shed and continues the displays of racing and record cars, motorcycles and cycles. The Racing Lock-ups Raleigh Cycle Exhibition follows the development of cycling from the ‘Hobby-horse’ and ‘Penny Farthing’. 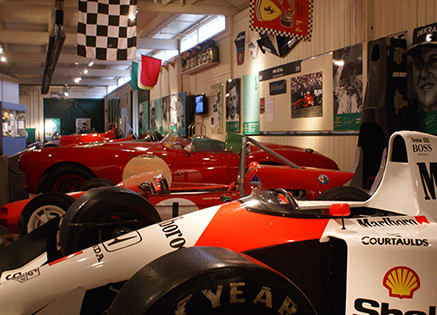 Explore the development of Grand Prix racing in Britain through cars, photos and memorabilia from the 1920s and '30s up to the present day. 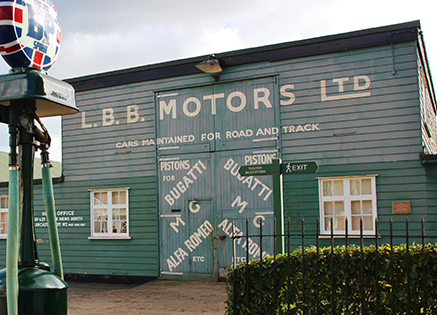 Many of the surviving original buildings have been restored and used to tell the story of Brooklands’ racing and record breaking history. 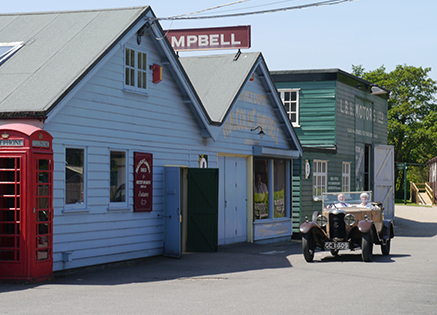 Explore our lists of cars, motorcycles and bicycles to find out what is on display in the Motoring Village sheds and learn more about these historic vehicles.